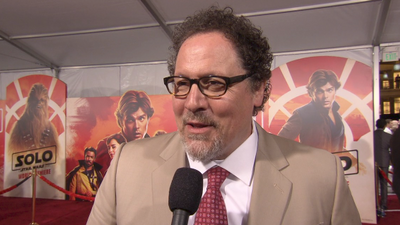 Jon Favreau stops at the red carpet premiere of the movie ‘Solo: A Star Wars Story’ and tells us about his experiences and differences between his work in Star Wars and his career with Marvel. He also talks about how excited he is to become a digital alien in the Han Solo movie. Check it out.